Japanese beverage giant Suntory markets several kinds of canned coffee, and has recently (?) introduced a new one, called Boss Black. 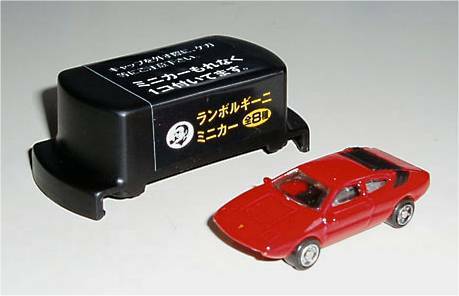 For this introduction they seem to have teamed up with Japanese car-magazine Car Graphic and ordered several simple plastic models that were used as give-aways. 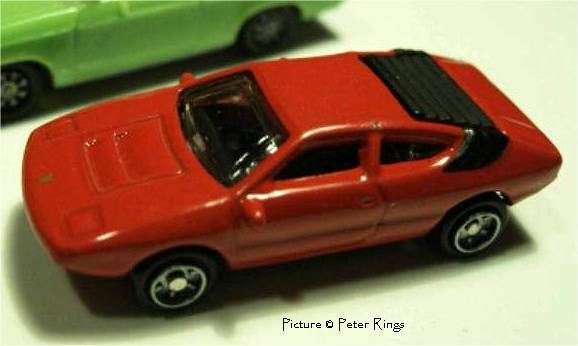 The models are packed in a black plastic box that is clipped on top of the can.
? 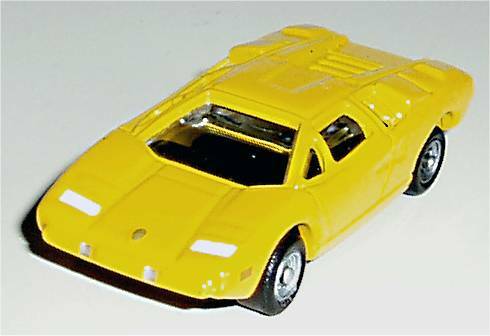 Lamborghini Countach LP400 ?
? Lamborghini Miura Jota ?